The middle continent of this planet is where the first sentient species came to exist. 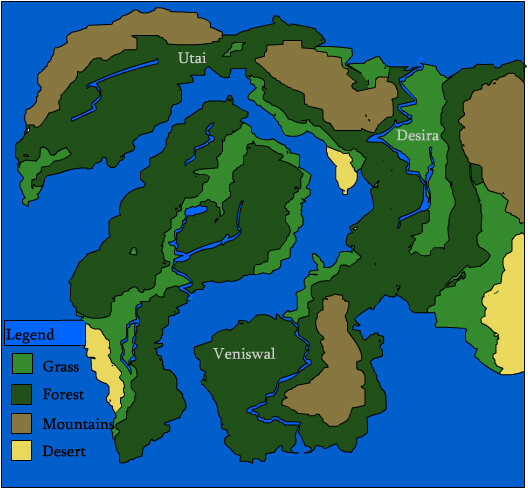 Starting with the Untari(forest elves) in the lands of Utai(Birthplace). Which within milleniums spread out into the next species, that of the Oraga or High Elves (common elves), who named their land Desira(HolyLand). Within a millenium from then another species came from the seeds of the Oraga known as Doriti, or the Drow(Dark Elves), calling them homeland Veniswal(Death Lands).